Martial Views: Learn To Fight Like George Zimmerman! 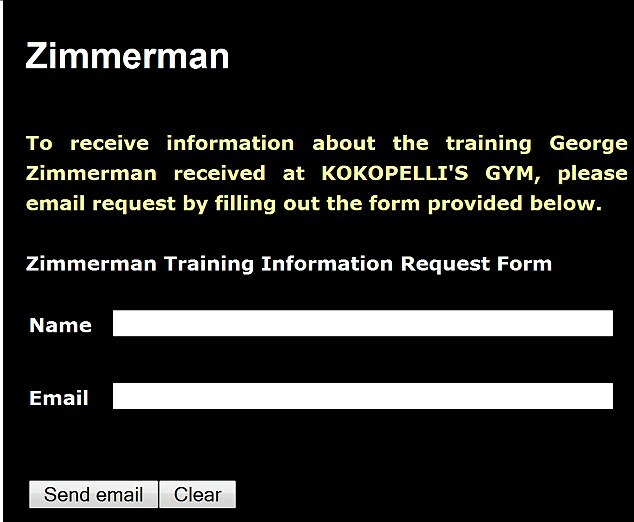 Kokopelli's Gym, a "fight training center" that offers MMA in Longwood, Florida is trying out a rather controversial marketing ploy on their website guaranteed to make you cringe: Training information on George Zimmerman that he received at their venue. The email form goes on to say that this info will only be provided after the trial involving the highly publicized shooting death of Trayvon Martin is over. How decent of them. Still, this begs the question: If George Zimmerman was trained in MMA, why did he need a gun against Trayvon Martin? Remember that, acccording to Zimmerman, Martin had attacked him and that he had shot Martin in self-defense using a weapon Zimmerman had on him. 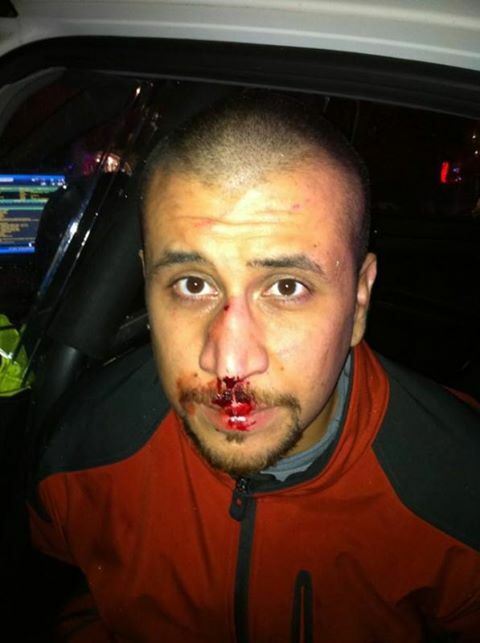 Zimmerman was bleeding from the nose and from cuts on the back of his head he received while he was being struck about on the ground. Zimmerman was “a beginner” and not competent in grappling — a tactic used in mixed-martial arts. Pollack said that Zimmerman was “very diligent” and “very coachable” but didn’t have the strength or skill to be successful in the sport. Back to the ad on the Kokopelli's Gym website. Why would anyone want to learn how they can spend a year preparing to get beat up? Indeed, when the prosecution re-called Pollock as a rebuttal witness, he was asked, "Are you now marketing the training you gave to George Zimmerman on your website?" "Absolutely not" replied Pollock. The defense objected to this line of questioning and the judge told prosecutors they couldn't call a witness during their rebuttal case, just to impeach him. 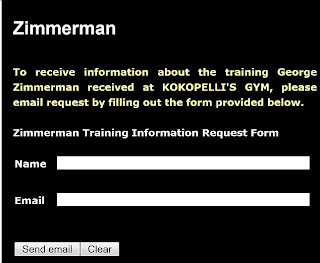 I wonder if Kokopelli's Gym ever got Zimmerman's permission to use his name in this manner. If so, what sort of deal did they hammer out? Let's see what happens with this publicity stunt of theirs once the trial ends.